There were 677 press releases posted in the last 24 hours and 153,494 in the last 365 days. MIAMI, FLORIDA, UNITED STATES, January 21, 2019 /EINPresswire.com/ -- Having accounts in collections can slow your business to a halt. Credit Counsel Inc helps clients get back to what’s most important, focusing on growing their business. At Credit Counsel Inc, we constantly get feedback from frustrated clients about how exhausting it can be to try and collect on an unpaid debt. That’s part of the reason we launched Credit Counsel Inc.
Our ultimate goal at Credit Counsel Inc is to help businesses and brands successfully collect on an unpaid debt and to get back to running their businesses. By creating a holistic approach to credit card collections, coupled with innovative technology and collection efforts, Credit Counsel Inc has created a complete ecosystem that works in favor of every client from start to finish. We hear from small business owners daily about how helpless they feel trying to get customers to pay on time and to even collect on an unpaid debt. That’s where Credit Counsel Inc comes in, providing a proactive approach to making collections a top priority, giving each client a dedicated account specialist who will walk you through the debt collection process every single step of the way. This also takes the burden off of your accounting, management and various other departments from making needless calls, exhausting resources, and getting burnt out on trying to collect an unpaid debt. Credit Counsel Inc provides a thorough and comprehensive strategy that is specifically designed with your company in mind to maximize how much we are able to collect for your business, helping you return to what’s most important. At Credit Counsel Inc we also remind businesses just how important it is to have a proactive approach to debt collection. We hear from so many clients that waited far too long to collect on an unpaid debt, and it makes the process more difficult, more time consuming, and ultimately more challenging to actually receive a payment. At Credit Counsel Inc, we encourage all of our clients to streamline your invoicing process to make it clear and simple to receive payments on time, and it’s also crucial that your accounting department sends out invoices with enough time in advance so that the payee can make a payment on time and to the right department eliminating any potential pitfalls and errors that can occur along the way. By providing a holistic approach to debt collection, Credit Counsel Inc has been able to help thousands of clients across the globe. 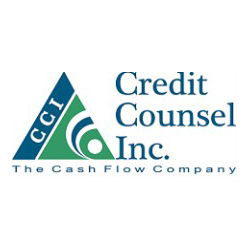 To learn more about Credit Counsel Inc, and to connect with them today, click here.